Our 14th century ancestors were survivors if nothing else. Between 1315 and 1350 they endured, struggled and in many cases survived against the odds. There was scarcely a worse time to be alive. 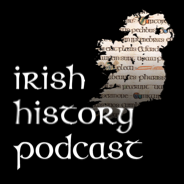 When war, famine and disease on unprecedented levels ravaged Ireland between 1315 and 1324, this proved a tipping point. The fragile balance of society was shattered. Assassinations, rebellion and repeated outbreaks of war dominated life in the following decades. This could not have happened at a worse time. In 1348 the greatest killer in recorded human history – the Black Death – reached Ireland. 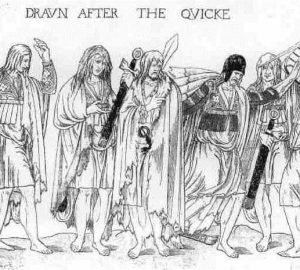 In the following year it killed perhaps as much as 40% of the population in the Norman colony of Ireland. In the aftermath chaos was king. Many understandably believed the end of the world had arrived. Warfare between Norman settlers and Gaelic Irish families exploded across Ireland. Emigration soared. Labour unrest tore at the fabric of medieval society. The future was never more uncertain. 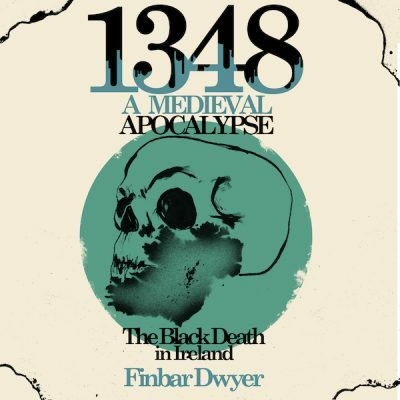 1348: A Medieval Apocalypse is a history of these turbulent times, focusing on the lives of eight people who lived during these fascinating times. From men like the 2nd Earl of Ormond James Butler to women like Gyle de Burgh the book reveals the complexity of life during times of great crisis. While many struggled to survive there were those willing and able to adapt. Some even found opportunity amidst the chaos. This book sheds light on a neglected era of our history that transformed not only Ireland but also the European continent.